“Teaching is its own reward” is a saying that resonates with me. One of the most satisfying occurences is when a student gives you unsolicited praise after a class. It can be a humbling experience and it can also serve to help you resolve to be a better martial artists and ‘pass it on’. 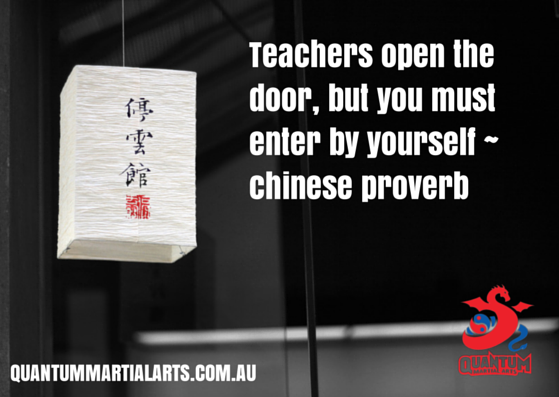 At Quantum Martial Arts, where we teach the Northstar Ju Jitsu system, we encourage students to perform acts of ‘service’ – helping with equipment, assisting with training of junior belts or being a buddy for someone on their first lesson. We receive teaching and mentoring from our Sensei, and in turn we pass it on, being a light to others and sharing a bit of our energy. A truly energised class resonates with the shared enthusiam of the teacher and students, a kind of synergy. Ben Owens & Darren Higgs run Quantum Martial Arts offering classes in ju jitsu, self defence and martial arts fitness in the heart of Sydney CBD.